The International Budget Partnership (IBP) has released the Open Budget Survey for 2017. The findings of the survey indicate budgetary transparency in Hungary has declined. Based on the findings, countries are given a transparency score on a 100-point scale using a subset of questions that assess the amount and timeliness of budget information that governments make publicly available in eight key budget documents in accordance with international good practice standards. The local research partner for the IBP in Hungary was the Fiscal Responsibility Institute of Budapest, led by economist Balázs Romhányi. The survey’s findings, which are based on 2016 documents, were also reviewed by the Hungarian government and the IBP. Five countries in Africa performed better than Hungary. So where is Hungary performing poorly? According to the survey, since 2015 Hungary has decreased the availability of budget information by reducing the information provided in the government’s budget proposals. The government does produce a mid-year review of the budget but fails to make it publicly available. The government does not issue a pre-budget statement (which discloses the broad parameters of fiscal policies in advance of its budget proposal, and outlines the government’s economic forecast, anticipated revenue, expenditures, and debt). 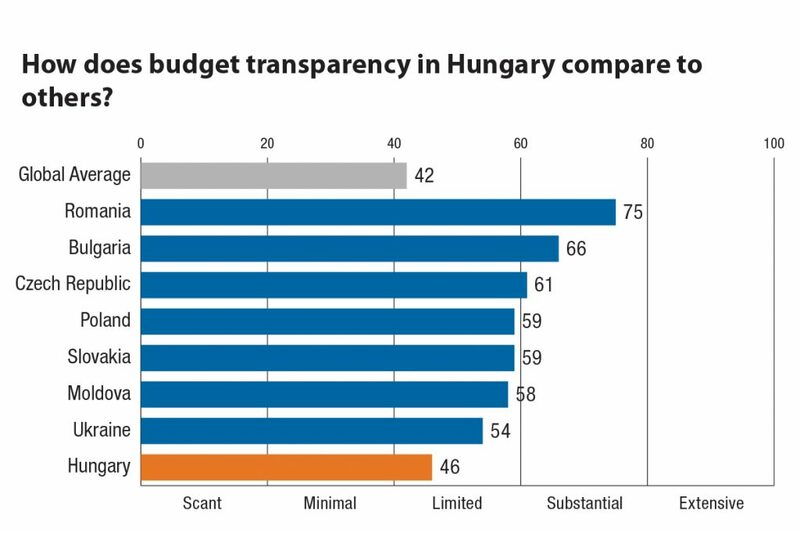 When it comes to budgetary transparency, Hungary performs worse than Romania, Bulgaria, Czech Republic, Poland, Slovakia, Moldova, and Ukraine. According to the US State Department’s 2017 Fiscal Transparency Report, Hungary is the only EU Member State that does not meet the minimum requirements of fiscal transparency. On Monday night, Hungary’s Ministry of the National Economy released a statement accusing the “international list being reported on in the press” as being ordered by none other than George Soros.